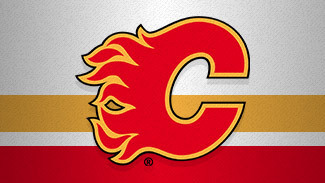 When the Calgary Flames last took to the ice in 2011-12, they defeated the Anaheim Ducks to complete an eighth consecutive regular season with 90-plus points. And as in the prior two seasons, the Flames failed to reach the Stanley Cup Playoffs. Hanging around the bottom playoff seeds in the grueling Western Conference only to just miss out has become all too familiar for Calgary. The team certainly was reminded of what may have been by watching former general manager and coach Darryl Sutter take the Los Angeles Kings, who finished five points ahead of the Flames for eighth place in the West, all the way to the Stanley Cup. As a result, the Flames' 2012-13 season will be greeted with few, but concrete, changes engineered by general manager Jay Feaster. Coach Brent Sutter and the organization parted almost immediately following a third playoff-free campaign under his command. Feaster’s most significant move came one month later with the hiring of former Stanley Cup-winning coach Bob Hartley away from Swiss League champion Zurich on May 31. Further bench additions were made with former Flames forward Martin Gelinas joining the team as an assistant coach, while respected longtime Colorado Avalanche assistant coach Jacques Cloutier took Craig Hartsburg’s place as associate coach. With the NHL’s fourth-highest payroll at more than $66 million (according to Capgeek.com), and decisions nearing on Jarome Iginla and Miikka Kiprusoff, Feaster is firm in his faith that longtime colleague Hartley will transform the Flames’ collection of solid veterans and slowly rising youth into a more up-tempo club that is back in the playoffs sooner rather than later. "Bob Hartley is a winner. Bob has won at every level he has coached, from the QMJHL to the AHL to the NHL to Switzerland, and we are confident he is going to continue his winning ways in Calgary," Feaster said in a team release upon signing Hartley, who won the Cup coaching the Avalanche in 2000-01. "He is a tireless worker, an outstanding motivator, a great bench boss and game strategist -- and a teacher at heart. Moreover, he is a great person as well. We look forward to Bob taking our hockey club to the next level." That statement certainly underlines the expectations Feaster has for a club with 10 players making at least $3.5 million or more. Though the GM's work is not likely finished, Feaster spent much of the summer re-signing a group of players who undoubtedly will play key roles -- and have their buttons pushed -- by the demanding Hartley. That list includes former first-round pick Mikael Backlund; forwards Lee Stempniak, Blake Comeau and Blair Jones; prospect Akim Aliu; defenseman Cory Sarich; and goaltender Leland Irving. Young forwards Paul Byron and Ben Street also signed new contracts. Forwards Olli Jokinen and David Moss departed via free agency to the Winnipeg Jets and Phoenix Coyotes, respectively. Forwards Tom Kostopoulos, Raitis Ivanans and Pierre-Luc Letorneau-Leblond, along with rugged defenseman Scott Hannan, were available to other teams via unrestricted free agency into August. Though the Flames are getting a fresh start and change of pace under Hartley, there is a need for more gamebreaking talent up front. Last season Calgary finished 24th in goals per game (2.43), 26th in shots per game (26.5), 30th in faceoff win percentage (46.2), and most glaringly, recorded the second-worst record in overtime and shootout games (5-16). A look to their youth for help scoring likely will be in order if Hartley cannot get his veterans finding the back of the net in a more often and timely fashion. The team will wait a few seasons for promising forward Mark Jankowski to develop at Providence College after trading down from the 14th selection to No. 21 and selecting him at the 2012 NHL Draft. Near-immediate help from 2011 first-round pick Sven Baertschi could make a difference, but Feaster turned to free agency to nab a pair of Czech-born forwards – and as it turns out, friends -- former Detroit Red Wings player Jiri Hudler and Kontinental Hockey League star Roman Cervenka. Hudler received a four-year, $16 million deal and will be relied on heavily for secondary scoring. He finished fourth among NHL shooters who played 64 games or more last season with a 19.7 shooting percentage, which led to 25 goals. Cervenka is a low-risk signing for Calgary, but the expectation is he can step into a top-six forward role and produce. The 26-year-old had 39 points in 54 games for Avangard Omsk last season, and really turned it on with a league-best 21 points in Omsk’s run to the Gagarin Cup Final. His presence gives the Flames a new look, but how much his talent shows in the North American game will help determine how different their attack will be from previous seasons. The biggest on-ice addition for Calgary is defenseman Dennis Wideman, whose booming shot and offensive abilities were highly desired among unrestricted free agents. The Flames pounced before the July 1 free agency period began, trading a 2013 fifth-round pick and defenseman Jordan Henry to the Washington Capitals for Wideman’s rights, then keeping him off the open market with a convincing pitch from Iginla, plus a lucrative five-year contract. Adding Wideman to a top-four of Mark Giordano, Jay Bouwmeester and Chris Butler on the blue line deepens an area the Flames hope will generate more offense with the change in style, especially if high-priced Bouwmeester stays and excels under Hartley. Then there is always consistent goalie Miikka Kiprusoff, still likely a lock to play 70-plus games at 35 years old, but who may benefit from more spot starts from a backup battle between newly signed Irving and Henrik Karlsson. Kiprusoff must improve in the shootout – or the Flames must win more in regulation – to keep Calgary from enduring the exasperation of missing the playoffs by a few points again. If health is not an issue, and the free-agent trio of Cervenka, Hudler and Wideman fill up the scoresheet with regularity to help spread their offense, the Flames should enjoy some improvement under Hartley. It still will be a challenge to make the playoffs in the West.